They'd fly to the feeder, stop in mid-air, and turn back. What was keeping them from the feeder? A closer look revealed what the casual observer wouldn't notice: a praying mantis. Was the mantis a predator or the prey? 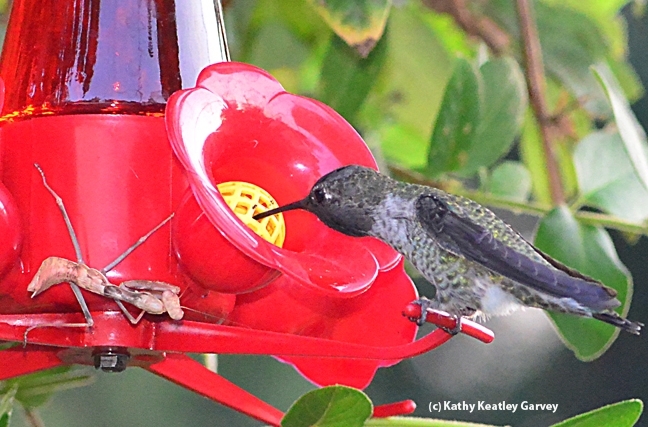 Hummingbirds eat insects, and the larger mantids eat hummingbirds. We waited to see what would happen next. A hummer opted to take a drink. The praying mantis, sprawled out on the feeder in a position we've never seen before, didn't move. It later moved to another spot on the feeder. The next morning, no mantis. Gone. Maybe it moved to another location. Or maybe another predator nailed it. 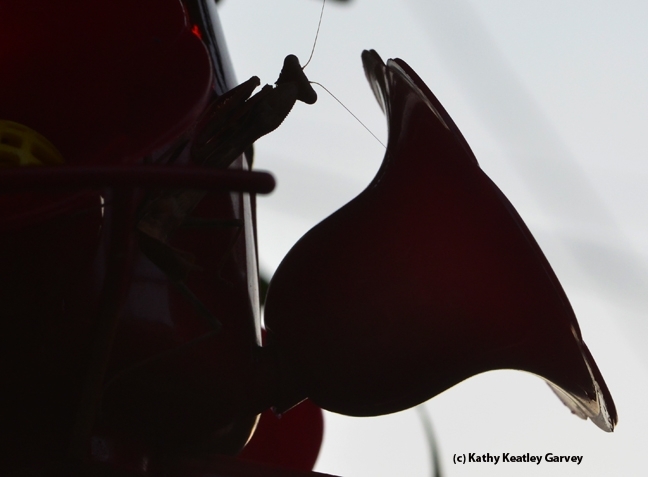 Meanwhile, check out a photo published in National Geographic that shows a praying mantis grasping a hummer. It's not for the squeamish. And YouTube shows numerous videos of mantids attacking hummers. 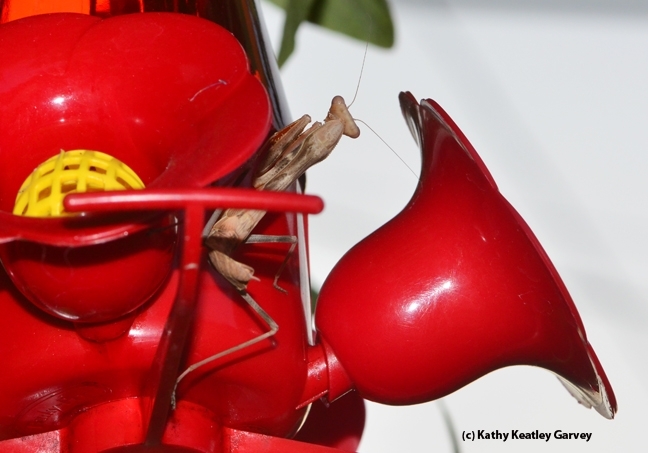 Watch this video of multiple hummers trying to dodge a praying mantis.